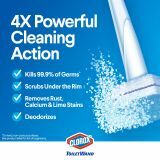 Cleans, disinfects and eliminates odors. 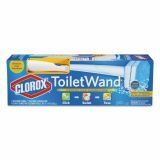 Clorox Toilet Wand Disposable Toilet Cleaning Kit: Handle, Caddy & Refills, White - Clorox ToiletWand Disposable Toilet Cleaning System cleans better and faster than a toilet brush. 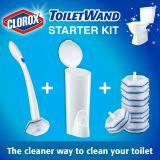 The starter kit contains one wand, six refills and one storage caddy to get you started on a deeper clean. 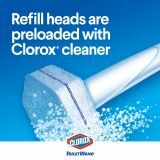 Each disposable head contains preloaded foaming Clorox cleaner with real scrubbing power to clean everyday tough stains, disinfect and eliminate odors. 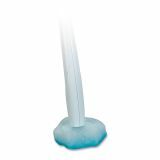 Sponge-like head is hexagon-shaped to allow better reach under the rim. 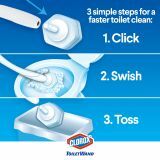 Just click the wand into a refill head, swish around the bowl to release the cleaner, scrub and toss the head away into the trash when done. 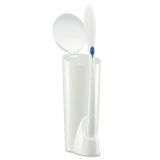 It is ideal for use in daycare centers, offices, schools, restaurants and other commercial facilities. 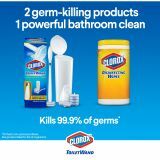 Convenient all-in-one system kills 99.9 percent of germs, disinfects and eliminates odors with ease. 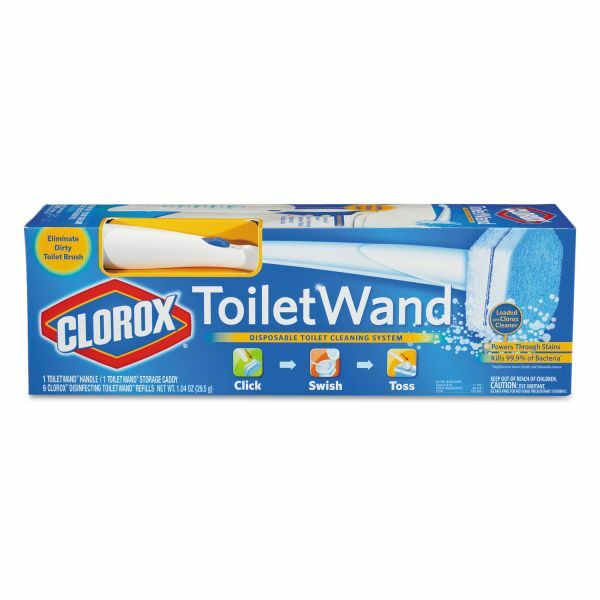 Make toilet cleaning an easy chore with the Clorox ToiletWand Disposable Toilet Cleaning System. 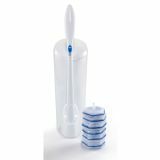 Spongy hexagon shaped head for better reach under the rim. 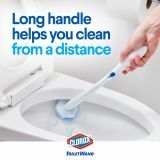 Powers through everyday tough stains. 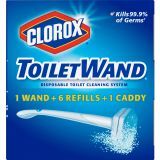 Ideal for use in day care centers, offices, schools, restaurants and other commercial facilities.